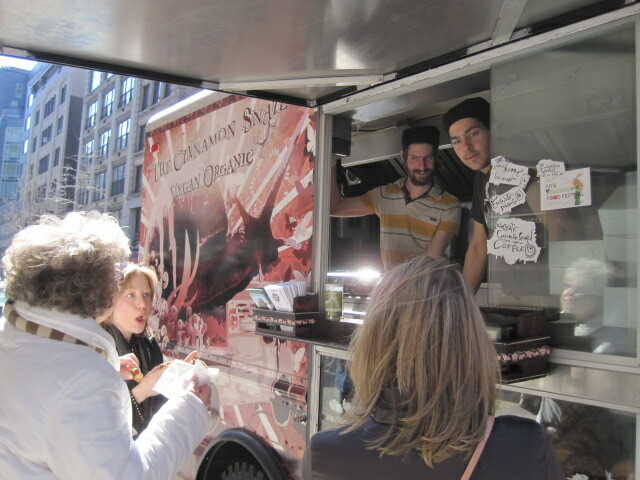 The first EVER vegetarian food festival that took place in Chelsea on Sunday, April 4th was a PHENOMENAL event! It was an amazing arena of super yummy vegan products like: Teese vegan mozzarella cheese (on the pizza in the photo! 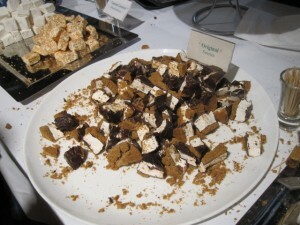 ), Sweet & Sara marshmallows, raw vegan ice cream, Gnosis raw vegan chocolate and soooo much more! Aside from tasting all of these wonderful products, it was exciting to see that so many people were interested in exploring a plant-based life. The event’s keynote speaker was Dr. Neal Barnard, President of the Physicians Committee for Responsible Medicine (PCRM), who discussed the medical benefits of a plant-based diet. Dr. Barnard discussed the positive effects that a plant-based diet can have on cholesterol, type II diabetes and joint pain. He also introduced his program “the 21-day Vegan kickstart,” a weightloss program designed to help beginners explore a plant-based diet. 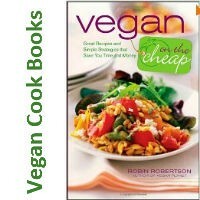 There was a great presentation about vegan parenting tips given jointly by both Alexandra Jamieson author of Living Vegan for Dummies and founder of Delicious Vitality and Chloe Jo Berman of Girlie Girl Army. They discussed issues related to supplements, keeping frozen vegan “emergency food” like cupcakes for birthday parties at school, and strategies for creating snacks and treats that will be fun for their classmates who are not following a plant-based diet. Alex and Chloe were phenomenal speakers. Check out their websites to learn more about their work. 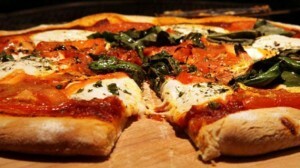 Chicago Soy Dairy had a phenomenal plant-based product: Teese “cheese” which melted perfectly and made a delicious pizza! 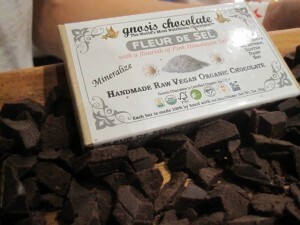 Gnosis Chocolate had many flavors of handmade raw, vegan chocolate. This unique company hand makes all of their chocolates… and they are FABULOUS! Their chocolates included exotic ingredients like mushrooms and peaches, and they are kosher too. There were actually two vendors that had raw vegan ice cream – YUM! Organic Nectars and Raw Ice Cream Company were there and both of their products were fabulous! 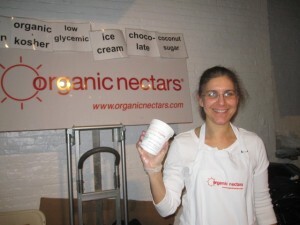 Organic Nectars also makes vegan chocolate sauce and chocolate bars, both of which are kosher, raw and vegan. It was really exciting to see that raw vegan ice cream is now available and to have a chance to taste it. 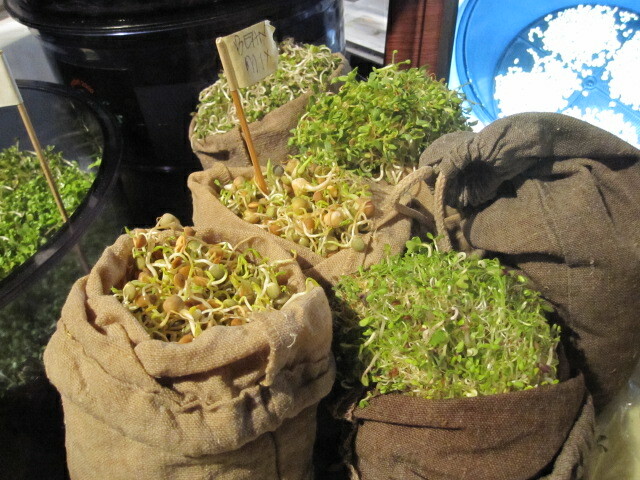 Sproutman & Company educated all of us about the nutritional benefits of sprouting and sold equipment to help. 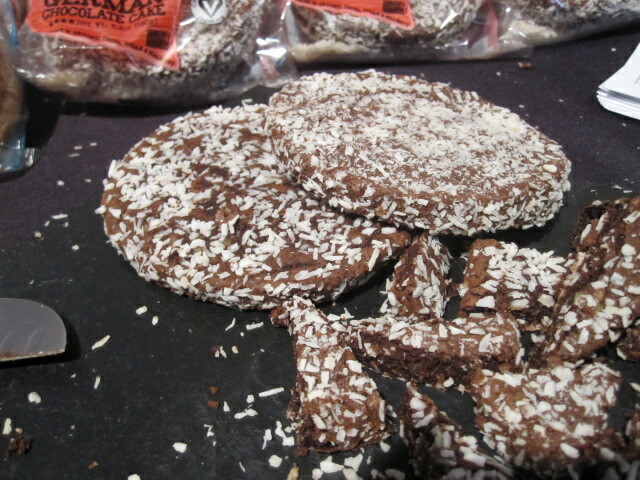 Liz Lovely had vegan German chocolate cookies that were amazing, and Purely Elizabeth had super yummy vegan, low glycemic granola. 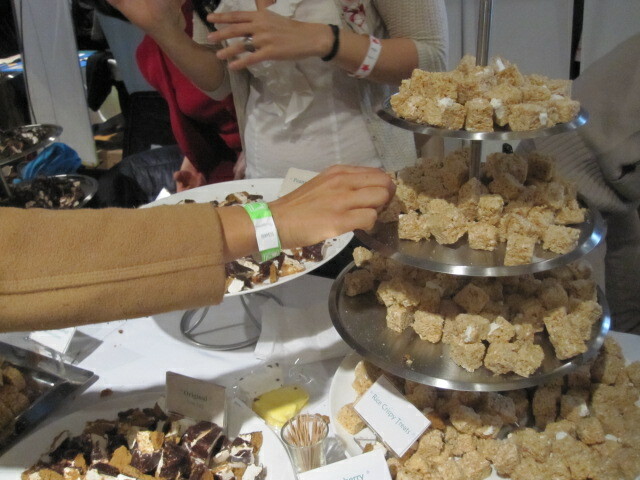 Last but not least, Sweet & Sara had their amazing marshmallows to sample and even made us vegan rice krispie treats and s’mores! 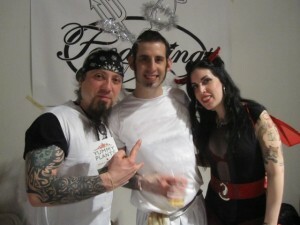 Enjoy some photos from the show!